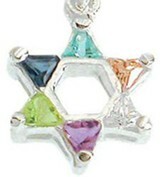 Star of David pendant inset with shining blue opal and trimmed in sterling silver makes a striking fashion statement. .75" diameter pendant hung on matching 18" silver necklace with secure clasp closure; a sparkling accessory for casual or formal attire. 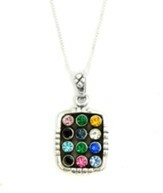 Gift for her designed in the Holy Land. 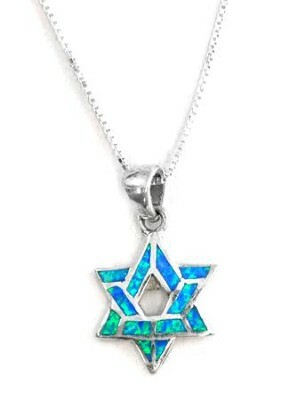 I'm the author/artist and I want to review Blue Opal Star of David Necklace.